The IGFA recently honored the significant conservation efforts of individuals and corporations at the 34th Annual IGFA International Auction & Banquet. Recipients of the prestigous awards include Capt. Bouncer Smith, Theresea Labriola from Wild Oceans, IGFA Representative Steve Yatomi, and Patagonia. 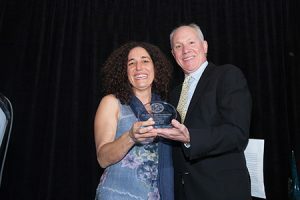 IGFA Individual Award winner Theresa Labriola is the Pacific Program Director for Wild Oceans – an organization that partnered with IGFA to pass the Billfish Conservation Act. Labriola works diligently to remove drift gill nets from California and has been a leader in building a coalition consisting of Coastal Conservation Association California, IGFA, American Sportfishing Association and her organization, Wild Oceans. 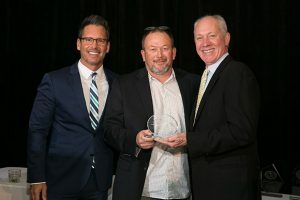 IGFA Corporate Award winner Patagonia focuses on making products from materials that have low ecological footprints, including hemp and organic cotton as well as recycled polyester, nylon and wool. Since 1972, through its membership in “1% For The Planet®,” Patagonia has donated more than $74 million to thousands of community-based groups working to create positive change for the planet in their own backyards and waterways. 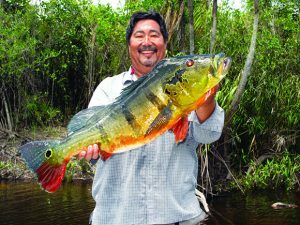 IGFA Representative Award winner Steve Yatomi has worked with the Apoteri Village in Guyana to develop a sustainable fishing eco-tourism program – helping the village gather income while providing jobs for area youth. The project has raised more than $384,000, led to five IGFA fly-fishing world records and expanded to include a stretch of fly fishing-only water that will create up to 100 additional jobs for villagers. Committed to the success of the operation, Yatomi spent 200 days on site this past year alone to help develop the project. 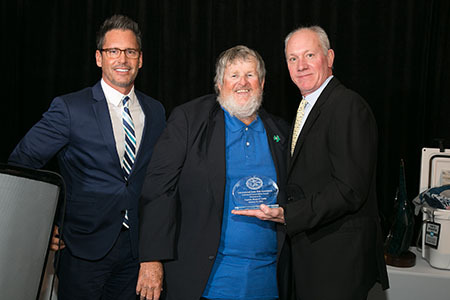 IGFA Individual Award winner Bouncer Smith has been an institution in the offshore fishing world since age 19, serving as mentor to many anglers on issues of marine conservation and sharing his unmatched knowledge and infectious love of the sport. Smith has participated in numerous important tagging studies for saltwater species and has been a staunch proponent of catch-and-release methods. As an advocate for catch-and-release, he has spent time educating a large number of anglers on proper catch and release methods. Most recently, Smith has been involved in educating the public on the value of properly designed marine protected areas.